The Noble Velvet Renaissance Pouch is a lavish take on a classic design. 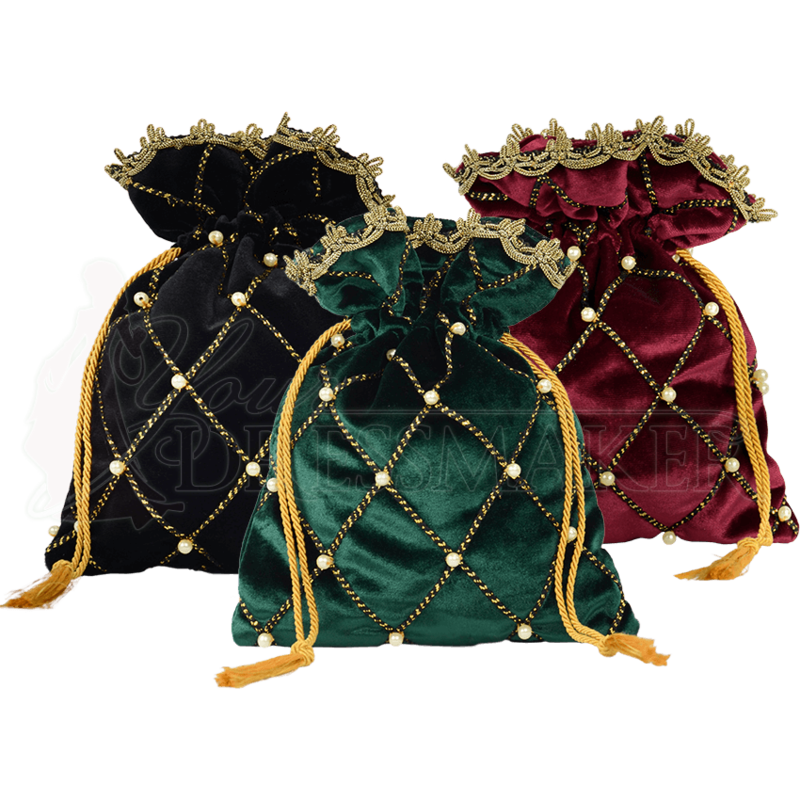 This drawstring pouch is made of rich, plush royal velvet. Gold trim forms a crisscross pattern all across the pouch, further embellished with faux pearls. Gold trim lines the opening of the pouch, and the golden drawstrings end in tassels. This royal velvet bag is available in a variety of velvet colors, although please note that the inner satin lining color will vary. 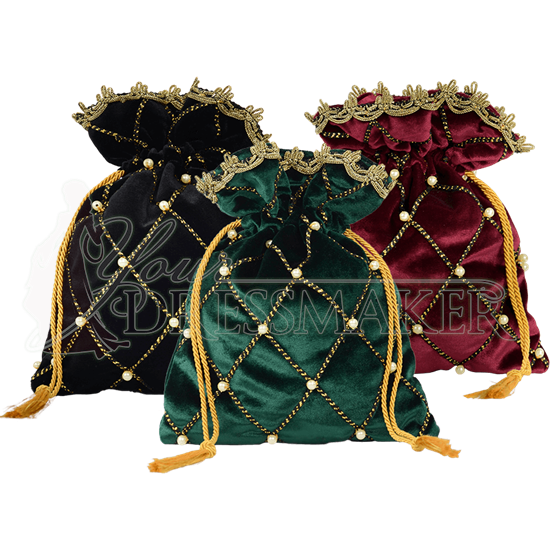 Large enough to hold keys, coins, and even a phone, this medieval drawstring bag adds refinement to historical and fantasy outfits.